Mowing wet grass is never a easy job to do, it is a common knowledge for a person that not mowing grass when wet, clipping grass while it is dry is the preferred practice. Because grass is bend over because of the weight of the rain, which makes it difficult to get a straight cut. 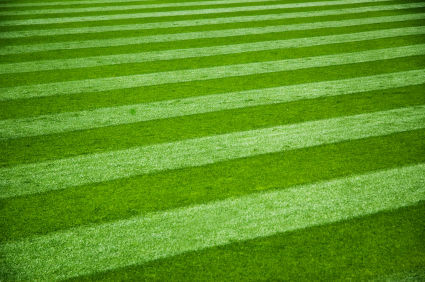 It may damage your lawn and harm your grass.Let’s have a look at the problems below quickly. Mowing wet grass may create problems such as soil compaction, ruts, excessive staining from wet grass and unevenly distributed grass clippings. The problem happened when lawn mower chutes get clogged up with wet grass clumps which stick together, the grass clippings add to the slipping risk. Wear shoes with traction to reduce the chance of slipping while you mow the wet lawn. 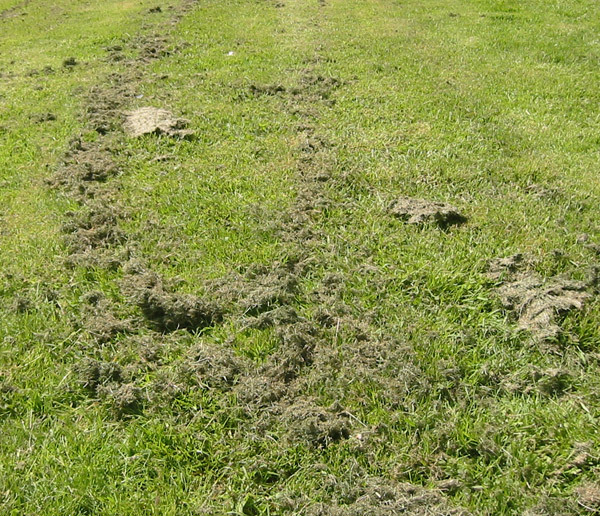 If the mower becomes clogged with wet grass, you’ll need to clean out the machine before you continue. Shut off the mower and let it come to a complete stop before you turn it over to clear off the clumps. A corded electric lawn mower poses an electrocution risk if the grass is wet. Wait until the grass dries if you only own this type of electric mower. This is a big problem that the efficient of mowing will be very low. And the lawn not being cut properly because the leaf blades are too wet to stand upright to get a good cut, and the clumps of wet grass dropping from the mower continues to disturb the cutting action of the blades.Grass clippings clump when wet and can be thick enough to prevent sunlight from reaching the ground underneath, creating dead spots in the yard. Another problem is spreading lawn diseases, and nice wet grass is a perfect environment for spreading these nasty invaders. So if one area of your lawn is subject to disease, or if the lawn mower has been shared with neighbors whose lawn health is questionable, then it could be a good idea to delay the cutting. The last one is walking on and running a mower over wet grass bruises grass blades, and the tires of your mower may compact the soil, restricting the flow of air and water around the roots of your grass. However, if you have fixed plans to mow the lawn on a set schedule of, for example, every 6 days, the weather may be rainy, just like the weather in UK. That probably a hard decision to make whether or not to cut a wet lawn. Although mowing grass before a rain is best, if you apply the Wet-mowing solution,which can help you mow after it rains, mowing a wet lawn is acceptable when done correctly. #1 First things first, it is important to see how wet the grass is. It must avoid mowing grass when it is extremely wet. If the ground is completely soaked, you notice you’re sinking or leaving impressions, it’s best to wait for the lawn to dry out slightly. The grass tends to lay down on the ground. If the ground is saturated beyond the grass’ roots, you may actually move the grass if the mower wheels slide sideways, creating long-term ruts in the lawn. It will be very difficult for you to move the mower on the lawn. Besides the difficulty of giving the lawn a clean, manicured look when mowing extremely wet grass, you also risk compacting the soil and/or spreading plant diseases. If the lawn is only moderately wet, below mowing tips will be helpful to do efficiently and safely for your lawn. Before cleaning the lawn mower, and to prevent the engine from accidentally starting, remove the wire from the spark plug, or remove the spark plug entirely. Most people don’t realize that turning the mowing blade manually can ignite the engine. Since lawn mowers are built to withstand heavy rains, it is safe to use a garden hose full force when cleaning your lawn mower. Fill a bucket with a hefty dose of car washing detergent and warm water until you have good suds action. 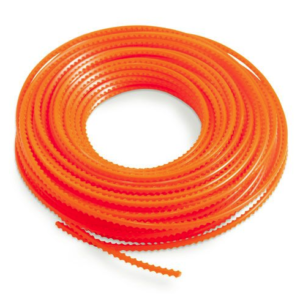 Never aim the water hose at the side of the lawnmower since water might enter the air filter. Instead, wet the lawn mower from above thoroughly, and then wash the entire outside with a sponge and sudsy water. Rinse the lawnmower completely and allow it to air dry for about an hour. Turn the lawn mower over to inspect the under side of the mower deck. 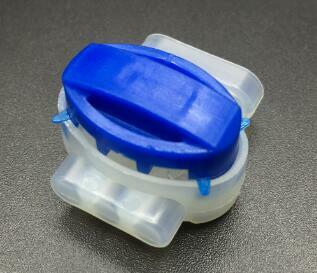 Remove any grass buildup with your hands. 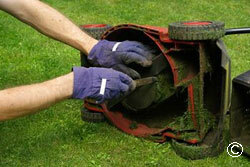 Remove all of the grass buildup, and then wash the underside of the mower deck with the soapy water, and gently rinse. Allow the mower to air dry for about an hour. Finally, inspect the mower blade. If there are visible gouges or hunks of blade missing, it’s time to replace the blade. If the blade is still in good condition, spray the blade and under side of the mowing deck with vegetable oil, and store the mower away. Begin by mowing the perimeter around the property (reference diagram to the right). Next, mow in opposing directions through the remaining property. Take care when turning at the end of each row to prevent turf damage. A simple “Y” type turn at the end of each row will reduce the chance of turf damage while setting the mower up for the next row to be mowed. Going over the perimeter once again will remove any stripe pattern irregularities left from turning at the end of each row and delivers a clean, finished look. Begin by mowing the perimeter around the property (reference diagram to the right). 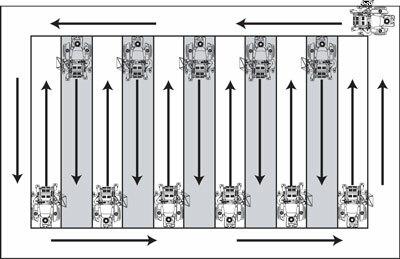 Next, mow in opposing directions through the remaining portion of the property (as shown in diagram to the left). Take care when turning at the end of each row to prevent turf damage. A simple “Y” type turn at the end of each row will reduce the chance of turf damage while setting the mower up for the next row to be mowed. Now, travel in the opposite direction of the original mowing pattern (for example: if you were mowing North and South, now mow East and West, etc). Finish the job by mowing the perimeter again. Going over the perimeter once again will remove any stripe pattern irregularities left from turning at the end of each row and delivers a clean, finished look. This pattern is achieved using the same techniques as the “Checkerboard” stripe pattern listed above. Simply apply the stripes in a diagonal direction. If an excessive amount of grass clipping clumps are in the yard after you finish mowing, then try re-mowing the lawn in a cutting pattern perpendicular to the pattern you used previously. Mowing Height – Set the lawn mower height to a slightly higher level than normal,accommodating for the moisture. 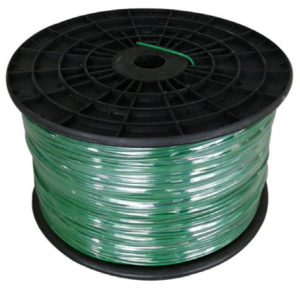 Firstly this will help avoid any damage occurring while mowing grass in a weakened state, but most importantly it will help enormously in reducing the amount of grass clippings coming off the lawn at once – and less clippings going through the mower means less clogging of the chute. So think of mowing wet grass as a quick trim and tidy rather than a full on lawn mowing session. Under normal conditions, removing the top one-third of each grass blade is ideal. When grass is moderately wet, however, remove slightly less than one-third of its height. Mow Speed– I’ve heard someone so-called expert told the lawnmower: Set the lawn mower’s blade to its highest cutting setting. It is not correctly at all. It may be horribly wet in the yard and it may not be a nice job, but in order to get the best finish to the lawn with the least amount of trouble – we should slow right down the pace at which we are mowing,half normal walking and mowing speed is good. It doesn’t have to be perfect for trimming your lawn on rainy day. Focus on reducing clippings going through the chute at the same time, take it slow and aim for a light trim. Mowing Wet Grass is possible by using our wet-mowing solution.